This was my second attempt at baking a savoury zucchini bread. The first time it turned out really soggy and wet inside. 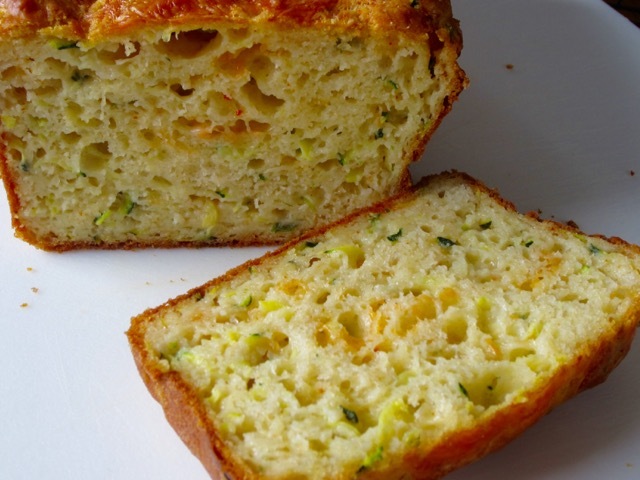 I have several sweet zucchini breads in my website, like the Zucchini Coconut Bread or the Chocolate Zucchini Apple Bread and there was no problem at all baking them. 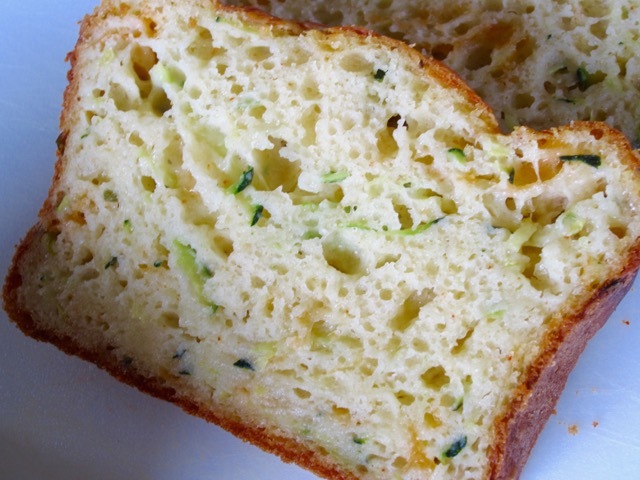 Please link me to your favourite, savoury zucchini bread. Thanks and wish you a wonderful weekend. I look forward to the weekend because I don’t have to run in the morning….. In a bowl whisk together the flour, sugar, baking powder, baking soda, salt and cayenne or Kashmiri chilli. Make a well in the centre. 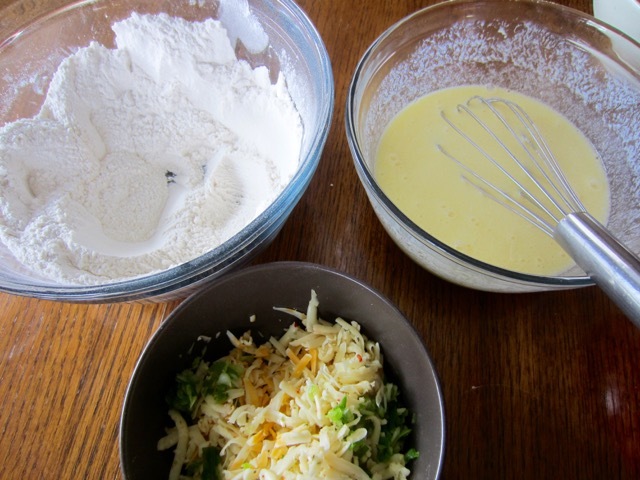 In a separate bowl, whisk together the buttermilk, egg and melted butter. 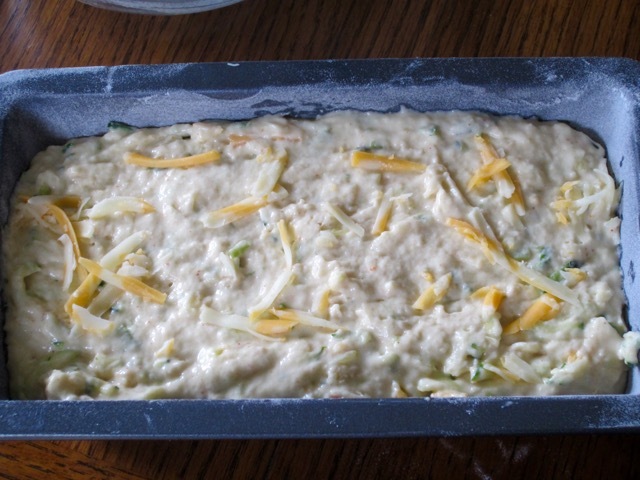 Gently fold in the zucchini, green onions and cheese(s). Spoon the batter into the prepared loaf pan. Scatter the extra 1-tablespoons cheese on top. Bake 60-75 minutes, or until a toothpick inserted in the centre of the bread comes out clean. (I baked 65 minutes). Preheat your oven to 325ºF (160ºC). Grease and flour an 8.5 x 4.5 inch loaf pan. 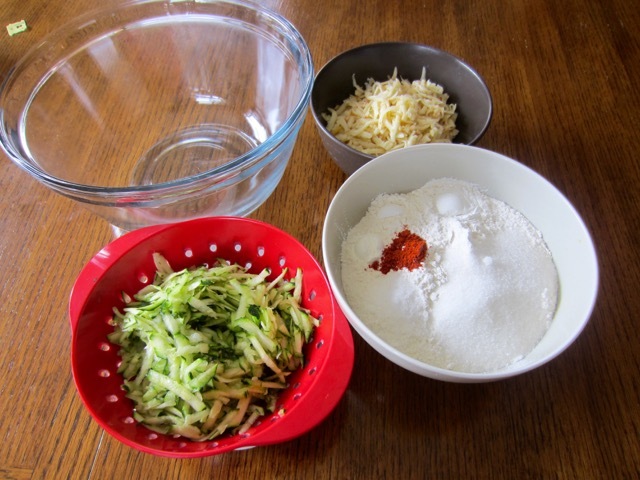 Mix the grated zucchini with the extra tablespoon flour and set aside. In a bowl whisk together the flour, sugar, baking powder, baking soda, salt and cayenne or Kashmiri chilli. Make a well in the centre. In a separate bowl, whisk together the buttermilk, egg and melted butter. 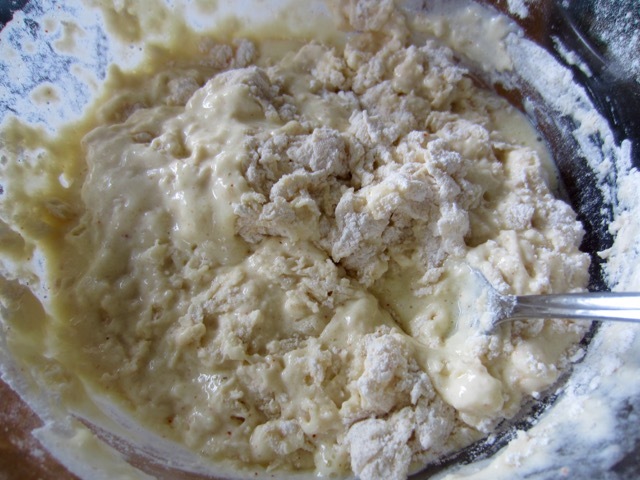 Add the buttermilk mixture to the flour, and gently combine. Do not over mix the batter. 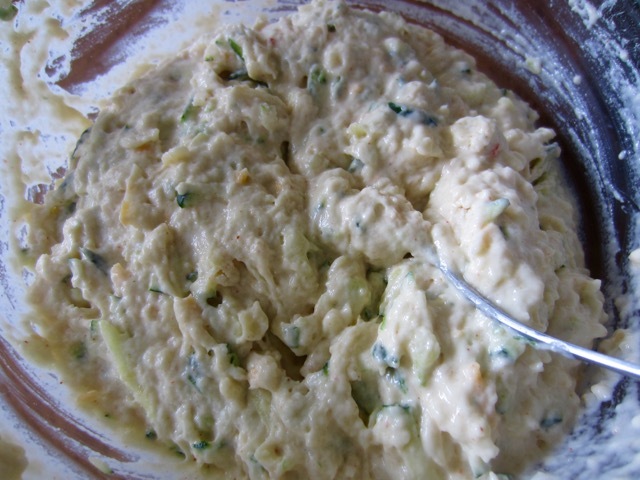 Gently stir in the cheese, green onions and zucchini. Spoon the batter into the prepared loaf pan. Scatter the extra 1-tablespoons cheddar cheese on top. Bake 60-75 minutes, or until a toothpick inserted in the centre of the bread comes out clean. (I baked 65 minutes). You can any of your favourite cheese(s). I used a mixture of Jalapeño havarti and mature cheddar. 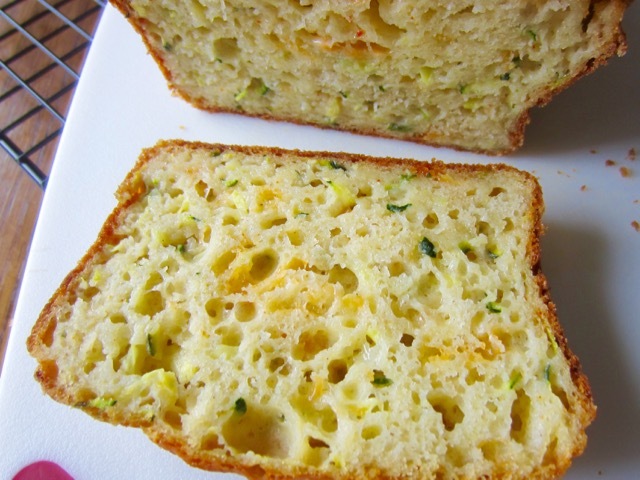 I haven’t tried a savory zucchini bread yet. Brilliant idea. Thanks. Where have you been gal? welcome back! Additionally, this bread is delicious and needs no butter!! Of course although I must admit I slathered mine with lots of butter when it was still warm. Tasted so good! Pleasant weekend to you! 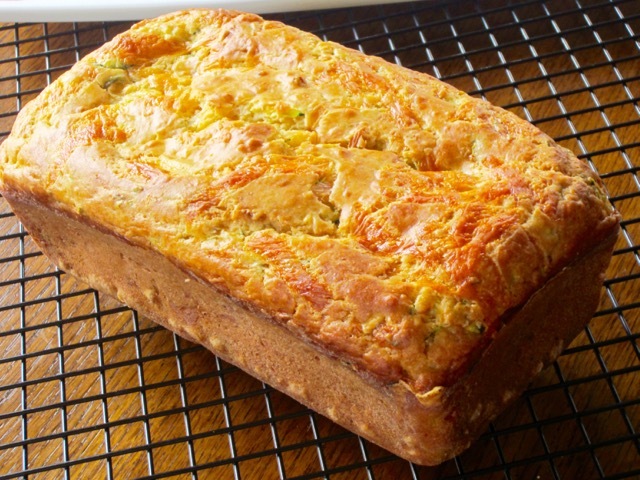 I made a double batch–one large loaf and two small–using yellow crookneck summer squash, chives, and aged sharp cheddar cheese. 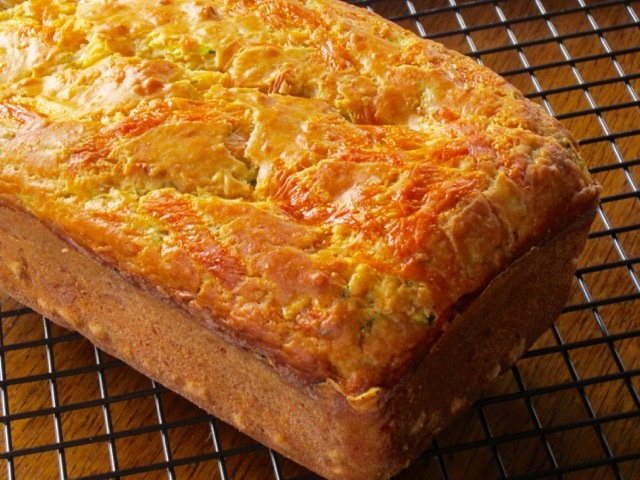 They are moist loaves and the slices definitely benefit from heating (at least) or toasting (ideally) to release all the flavors of the cheese, seasonings, and veg. I think I will increase the heat in my next batches using hot peppers, fresh thyme, chives, and a combination of aged cheddar and Parmesan cheeses. I love having a savory base to work with! I am glad to hear you made a double batch and it went so well. 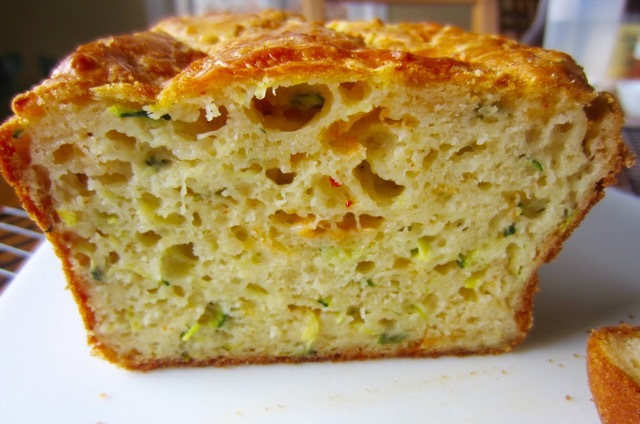 I really love this bread and it’s very easy to make. Thank you so much for the feedback! Liz, this bread has stolen my heart! Looks amazing! Thank you. I loved it! Tasted very very good. Anything with cheese is yes for me! Please give me a feedback and have a lovely weekend! I am definitely going to try that! It’s great combination with cheese and something spicy 😉 Have a nice weekend too! Thank you. I also wanted something savoury for a change. My son really loved it. He ate most of the loaf. Have a nice weekend!